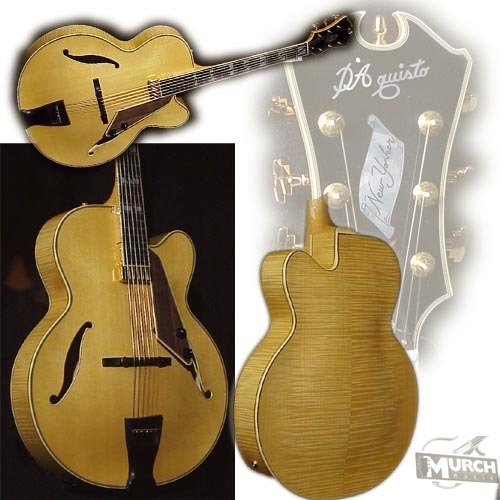 The guitar world suffered a great loss with the death of Master Guitar Builder James (Jimmy) D'Aquisto. His guitars are the most collectable archtops of all time. He apprenticed with John D'Angelico and after D'Angelico's death he continued to build guitars. He made many changes to the intsruments over the years and the New Yorker that we have captures the look, feel and sound of one of his best models. Beautiful to look at, how could you not want one !! 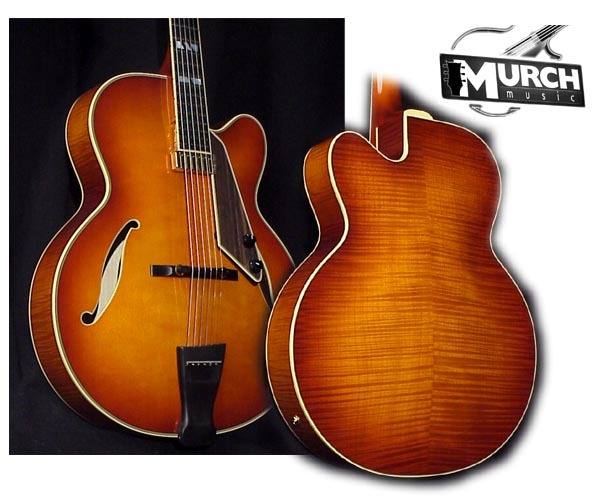 Natural finish with very highly figured maple -- and 1/10 the price of an original ! 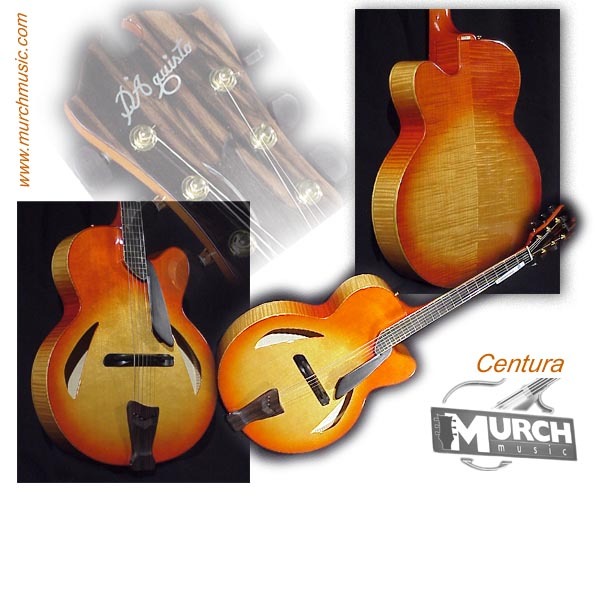 $2999 (sunburst is sold - another on the way) ( PLEASE NOTE -- THE CENTURA IS NOW SOLD -- w! !